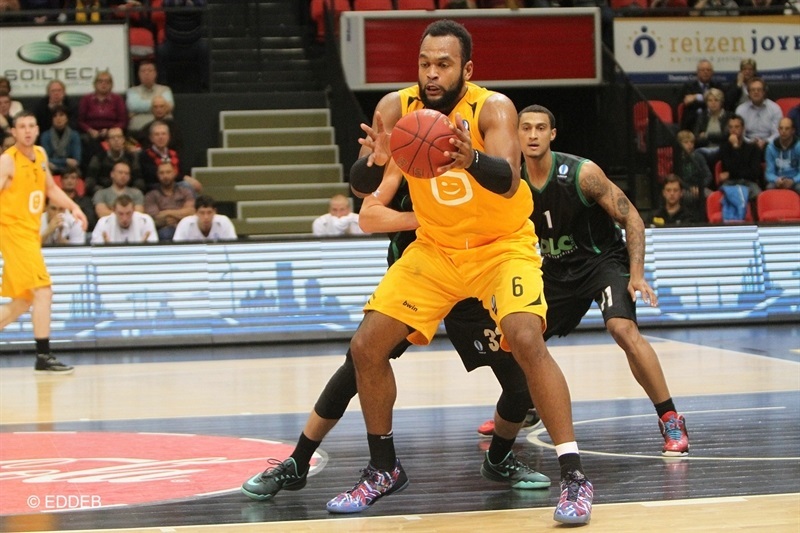 Telenet Ostend got a little bit of revenge, rallying from a 14-point deficit for a thrilling 99-97 overtime win over ASVEL Lyon –Villeurbanne in Sleuyter Arena on Wednesday night. 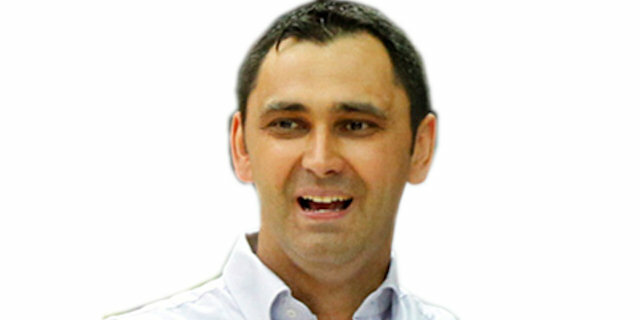 This was the second meeting between two clubs this season, after ASVEL won the clash in the opening round of the Turkish Airlines Euroleague Qualifying Rounds on the exact same floor six weeks ago. The French side was looking to be on its way to repeat that feat, up 45-59 midway through the third quarter, but the hosts rallied behind 25-6 spurt that bridged the third and fourth quarters, and eventually forcing overtime on a triple from John Prince. In the extra session, it was Jared Berggren who made a big block to win it for the hosts, as both teams now hold 2-2 record in Group A. Prince finished with 22 points, Gregory Echenique scored 13 of his 17 points in the second quarter, while Dusan Djordjevic had 14 points and 10 assists. 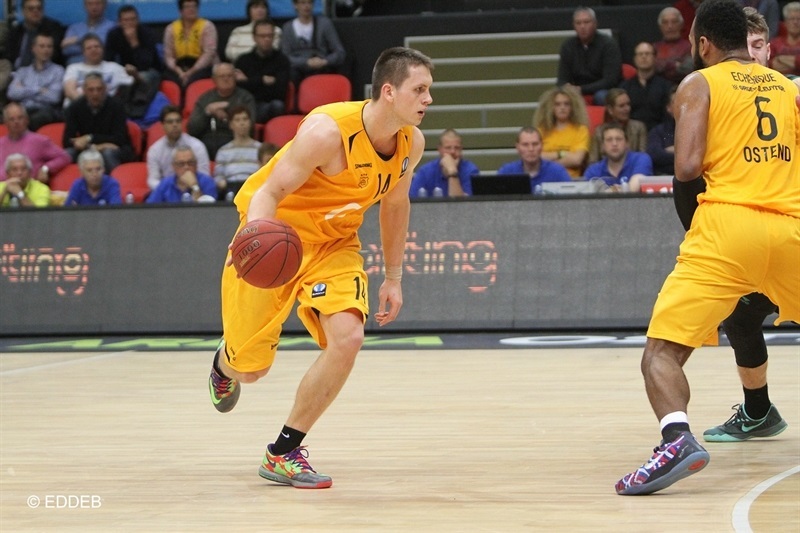 Pierre Antoine Gillet and Berggren each scored 12 in victory. David Andersen scored 25 for ASVEL, Edwin Jackson had 19, Amara Sy 14 plus 8 rebounds, and Taurean Green 11 points and 6 assists. 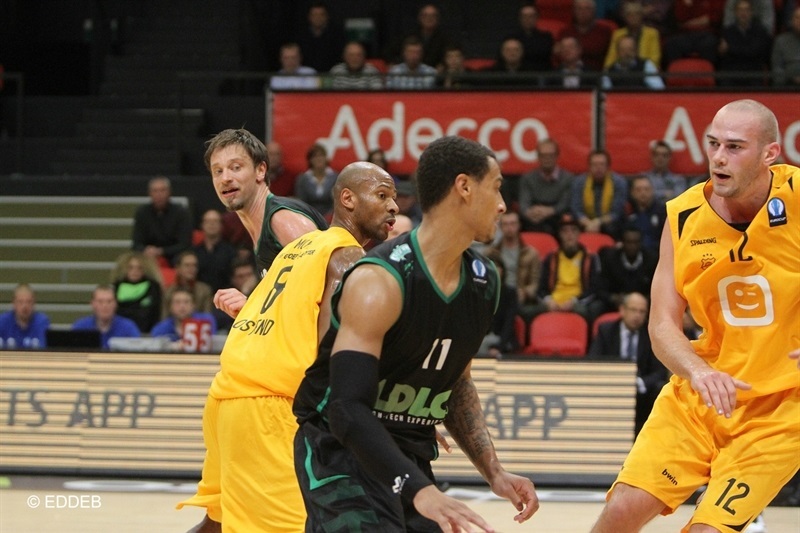 Andersen scored 7 points, including a triple, and Green hit one from downtown as ASVEL opened the game with 4-12 lead. Wes Wilkinson buried a three-pointer for Ostend, and Berggren fought his way for a put-back, getting the host within 13-14, but David Lighty scored from downtown, and Yohann Sangare and Ahmad Nivins added baskets that helped the visitors to 16-25 lead after 10 minutes. 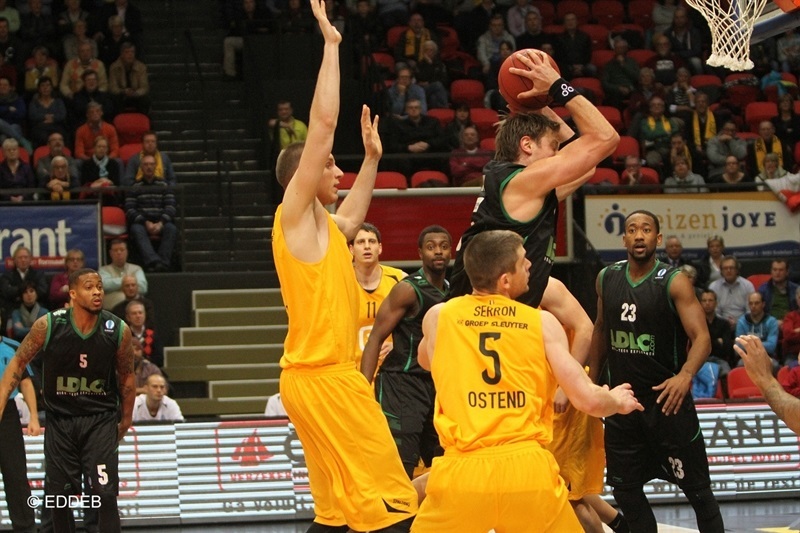 Back-to-back threes from Travis Bader extended it to 19-35 early in the second, but Ostend rallied. Echenique strung together 9 consecutive points, sparking a run capped by a coast-to-coast fastbreak layup from Mateusz Ponitka for 34-37, before Djordjevic beat the halftime buzzer with a triple, cutting it to 39-41 at the break. Andersen and Amara Sy combined to score 12 points in little over 3 minutes to open the third quarter, with Andersen hitting a triple and Sy adding a basket-plus-foul, making it 43-53. Lighty's layup-plus-free throw, followed by a third three-pointer from Andersen made it 45-59, before Djordjevic snapped a 2-15 run with a three-point shot. Echenique, Prince and Muya got the hosts going, before Gillet and Muya hit back-to-back from long range. A fastbreak layup-plus-free throw from Prince gave Ostend its first lead, 65-63 in the last minute of the quarter, and Muya scored on a fast break to give Ostend 70-66 in the fourth, capping a 25-6 spurt. 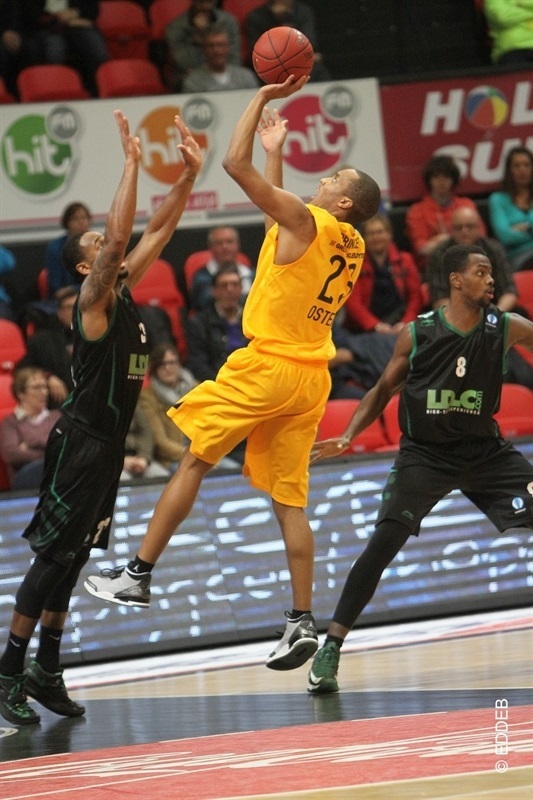 Appropriately in this game of big runs, ASVEL replied with 7 straight points, including a triple from Jackson. More triples came, with Gillet knocking down a couple for Ostend, and Green hitting one for the visitors, tying the score at 76-76 for the final 5 minutes of regulation. Couple more baskets from Prince, including a fastbreak dunk made it 80-76, but the visitors made 4 of 6 free throws to tie things up. In the final minute, Jackson and Prince traded three-pointers, and game went into overtime, 85-85. In the extra session, triples from Sy and Jackson gave ASVEL 89-93, but Berggren had a pair of dunks to make it a 97-97 tie. Muya put Ostend in front with a minute to go, and ASVEL had three attempts in the final minute to win it or send to another overtime, but Berggren came up with a big block on Andersen and Ostend prevailed. "Tonight we played a top-level team. They execute on every mistake you make. We started with too much respect and we got punished for it in the first quarter. At the end some guys showed real character and desire till the last second. We came back three times in this game and at the end we survived because the game could have gone either way. This was a phenomenal game for everybody who loves basketball. Credit to my guys. I am happy for us getting back to 2-2." 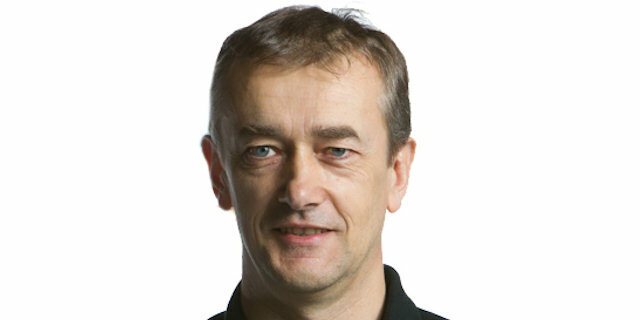 "We are having difficulties finishing games. We can take the lead, but cannot finish. This is frustrating. The problem is we want to finish the game individually. We should have won this game, but if you want to win a game, it is not important who finishes the game, but how you finish it."